Throughout the years, sustainable fashion has never been really thought of, at least not while I was growing up. In the '90s and early 2000s, clothes shopping meant a trip to the local mall and straight to Abercrombie, Hollister, Aeropostale and Wet Seal, mainly to appease the kids at school and not get trashed for not wearing what the "cool kids" were wearing. Now, we hear about various issues ranging from the Rana Plaza catastrophe to more ethical and environment issues, such as "What are we really putting on our bodies? ", "fast fashion" and "sweat shop" clothing. Sustainable fashion is for the most part, becoming a part of our daily lives. I'm now a huge advocate of supporting local designers and scouring thrift and vintage stores to get my wardrobe. I've found that the quality in vintage is worth investing in instead of turning to fast-fashion (which starts deteriorating only after a few washes) for my instant gratification. 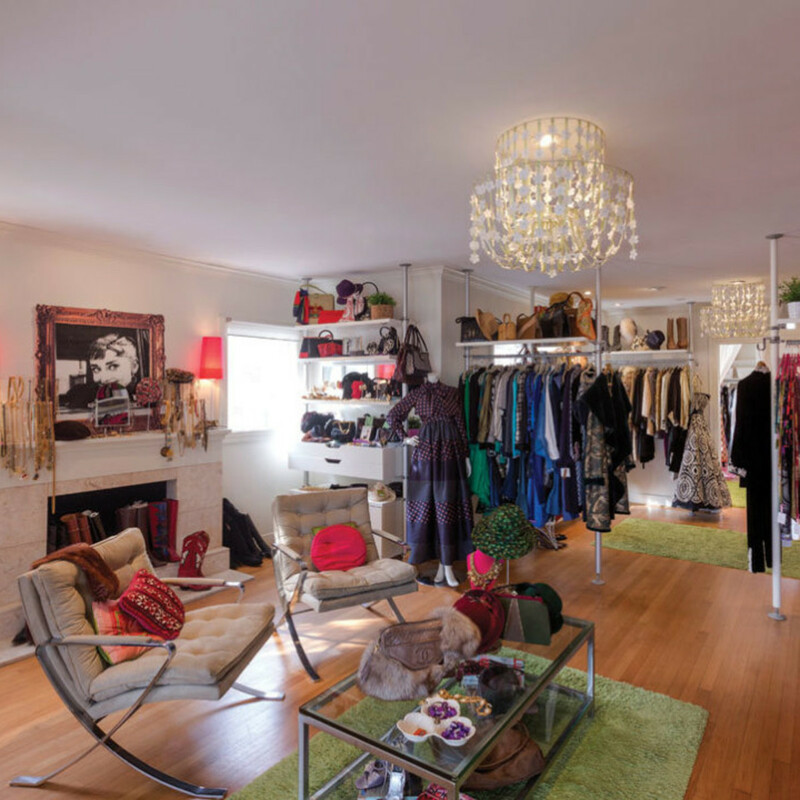 Cheeky Vintage is nestled in a quaint brick converted home on Richmond Avenue, across from Shepherd Plaza. 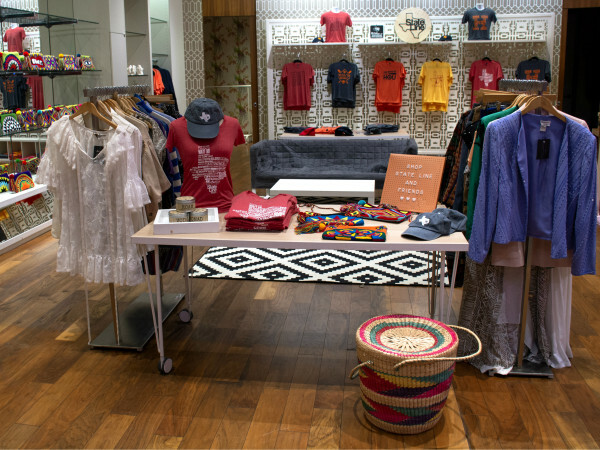 Once inside, you are immersed in a boutique-style setting, complete with cozy sitting area and chocolate! Racks of lovely vintage garments that have been collected from all over the world line the walls in the various rooms. Owner Tina Davis and her staff ensure that everything is carefully merchandised and strategically placed throughout the store, making it easier to hunt for that perfect gem. They are also knowledgeable in the latest trends and are happy to style you for your next social event. 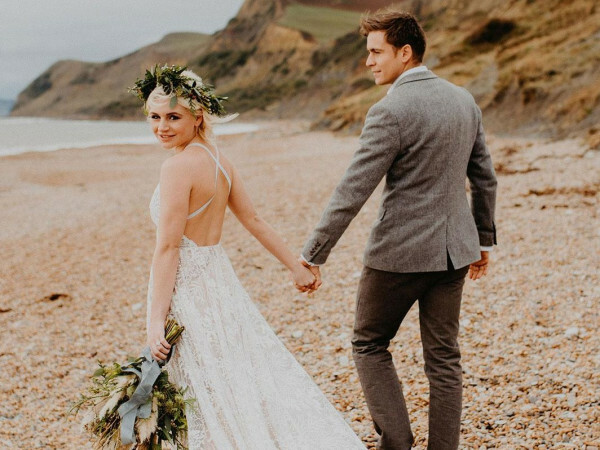 If you try something on and it doesn't fit quite like how you want it, don't worry, as there is an on-site seamstress available on certain days a week to attend to your tailoring requests. Cheeky Vintage, 2134 Richmond Ave. (713) 533-1121. The Heights is a smorgasbord of local shops and eateries, especially along 19th Street. One place in particular is Replay (just look for the kitschy vehicle parked out front), a established vintage shop owned by the eclectic yet enjoyable Laura Levine and Mike Hildebrand. The nostalgic utopia caters to guys and gals who want to add more flair to their wardrobe. 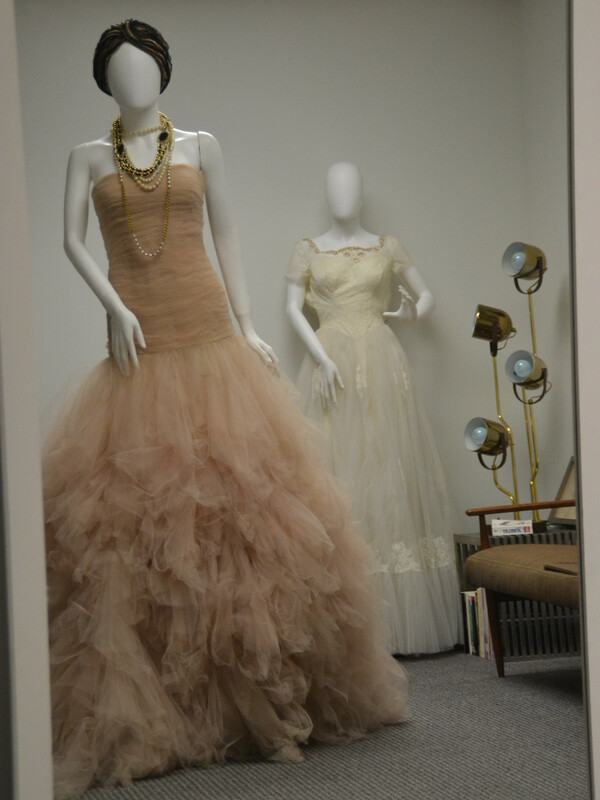 Gorgeous dresses from the '50s to the '80s line the walls, while at eye level, you could spend hours browsing the full racks of everyday to evening wear. Need something retro to decorate your home? Head to the back of the store for unique knick knacks and furnishings. Replay on 19th Street, 373 W. 19th St. (713) 863-9344. 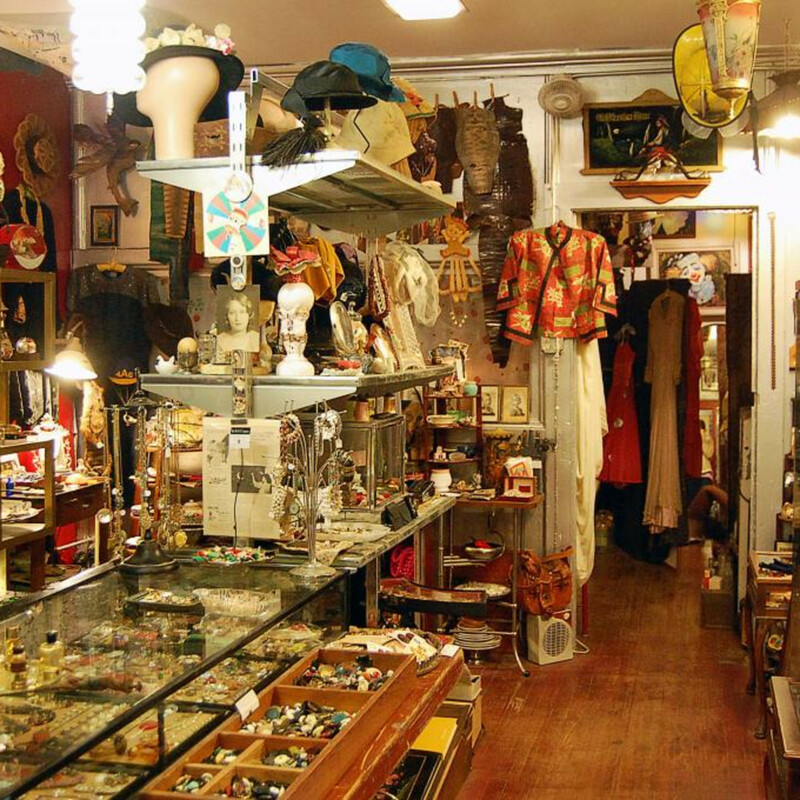 “Beautifully Bizarre” is the tagline for The PLACE Upstairs — one of Houston’s greatest late night antique and vintage shopping experiences. The shop is located above the Continental Club, among other local shops but it just so happens to stand out just a tad bit more. 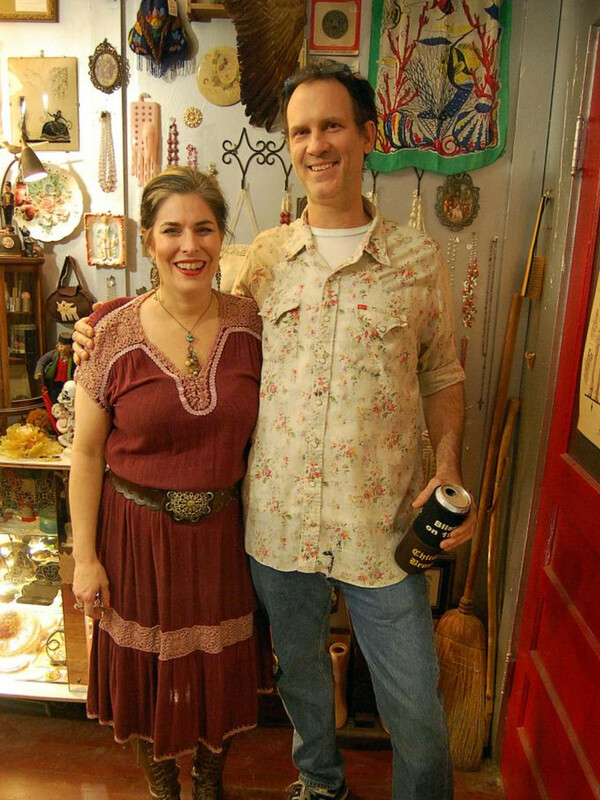 The duo behind Replay on 19th Street — Laura Levine and Mike Hildebrand — opened the shop in September 2013. When it first opened, the majority of the merchandise was from their personal collections or “401K” as they call it. Now, it's down to about 85 percent. The earliest piece they have in the shop is a Roman coin, along with antiquities from the 1850s up to the 1960s. The couple have completely opposite tastes, as Levine likes softer, more feminine things, like clothing, jewelry, handbags and accessories, while Hildebrand gravitates towards the bizarre and oddball things, like post-mortem photos, taxidermic animals and antique medical equipment. The PLACE Upstairs, 3708 Main St. (713)294- 0245. Open most Friday and Saturday nights from 9 pm to 1 am. 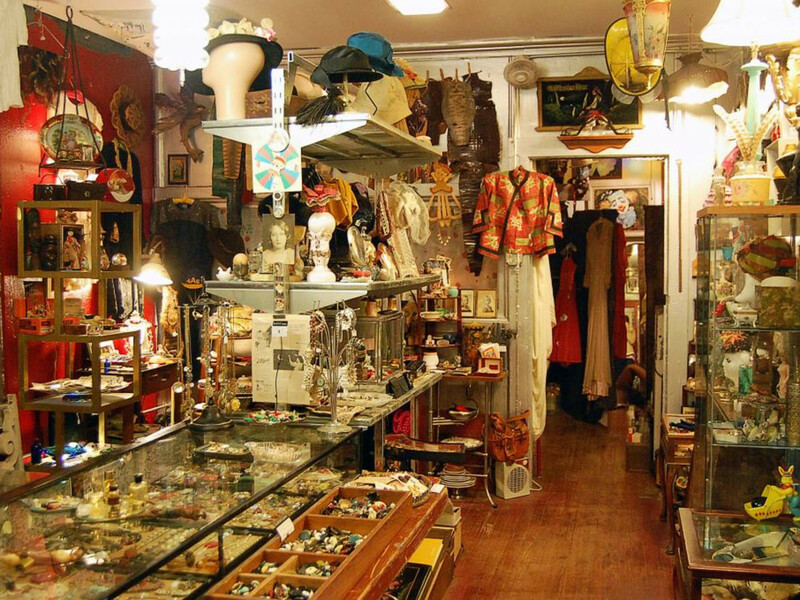 Situated in a multi-story office complex are several rooms filled with an exclusive vintage collection that Marci Rosenberg has amassed over the years. She has a honed eye for picking out some of the best vintage from around the world and also has extensive knowledge of eras and designers to boot. Guests who enter this swank showroom can view anything from glamorous designer evening gowns (think Bill Blass, Dior, Balenciaga, Mary McFadden, Oscar, etc.) to chic uptown dress and jacket ensembles, as well as dainty cocktail attire. 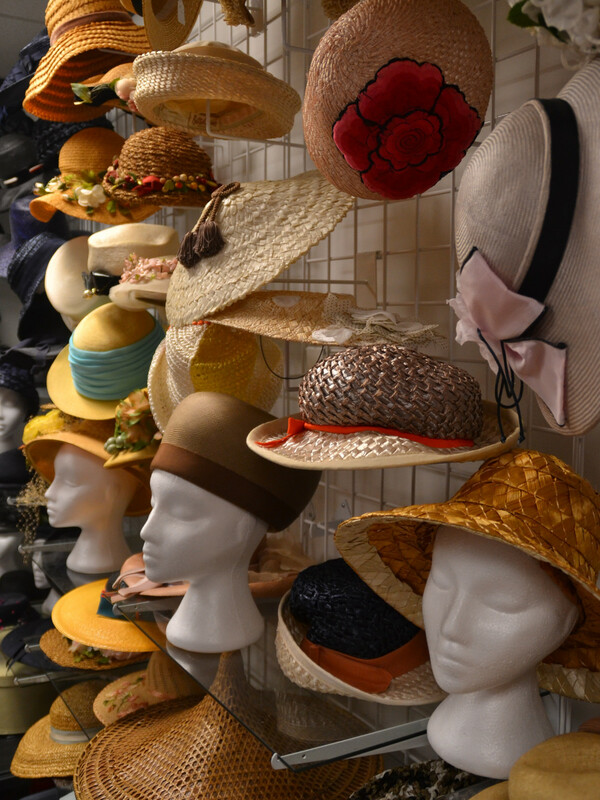 Accessories range from various styles of belts, a massive collection of exquisite mesh Whiting & Davis handbags from the Art Deco era to the '80s, every style hat and handbag imaginable to jewelry and eyeglasses. I've seen pieces from the 1900s to the 1990s (with a few newer designer labels). 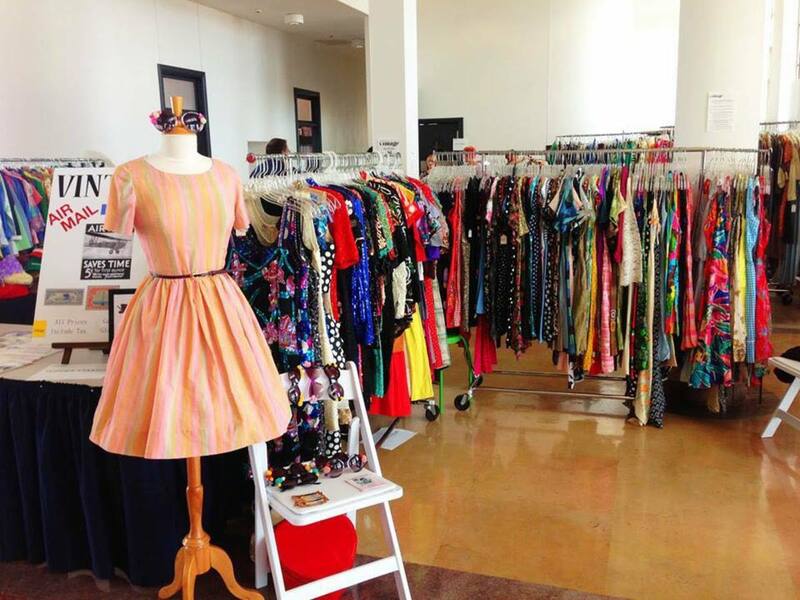 This is truly a stylist's and vintage aficionado's place to not only browse for gaining inspiration, but also to shop covetable and unique pieces. 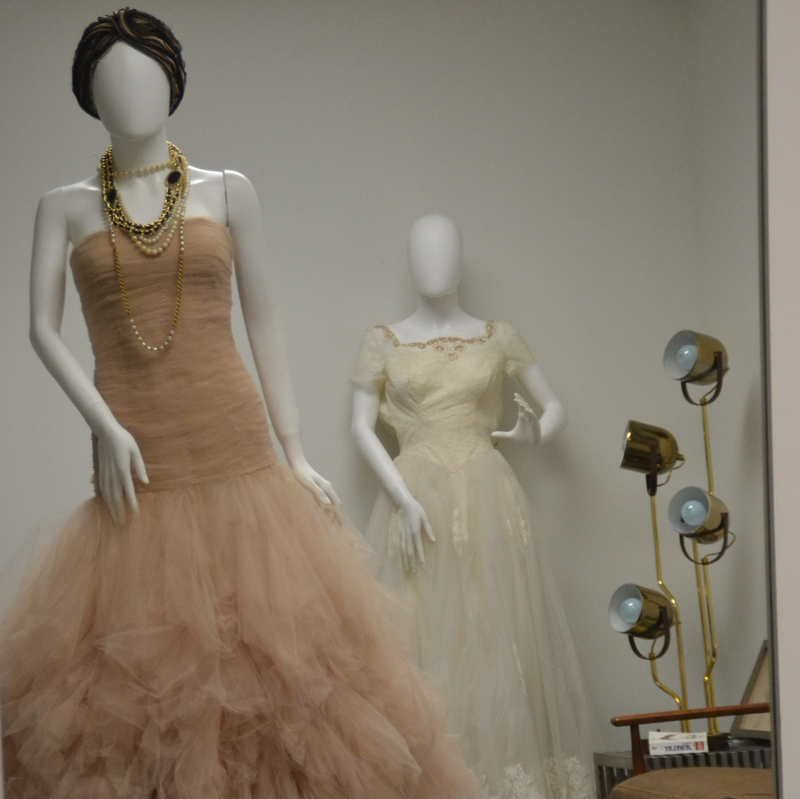 If Carrie Bradshaw had a closet full of vintage, this would be a perfect example. There is currently a waiting list, as this showroom is by appointment only. Contact Bridgett Artise at (832)977-0455 to get further details and book an appointment. 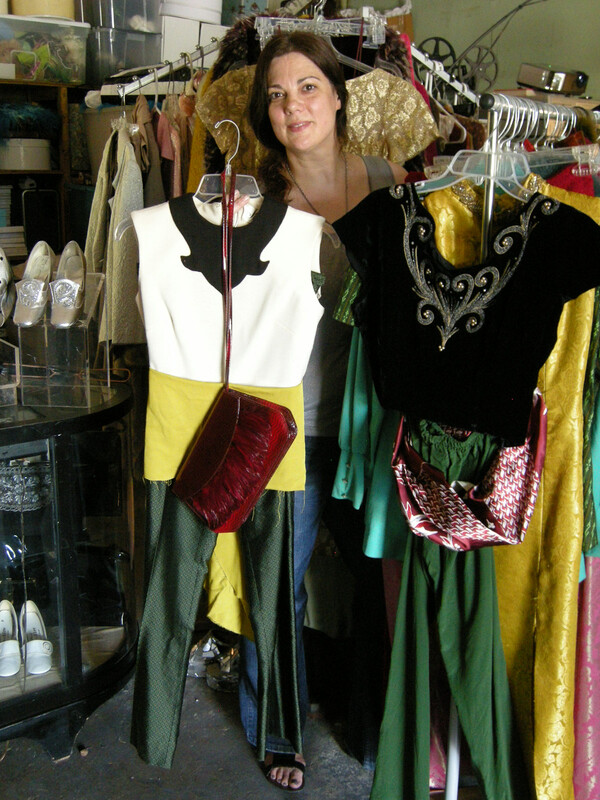 I first discovered Vida Antigua (or "vintage life" in Spanish) during one of Pop Shop Houston's Westheimer/Dunlavy pop-ups. 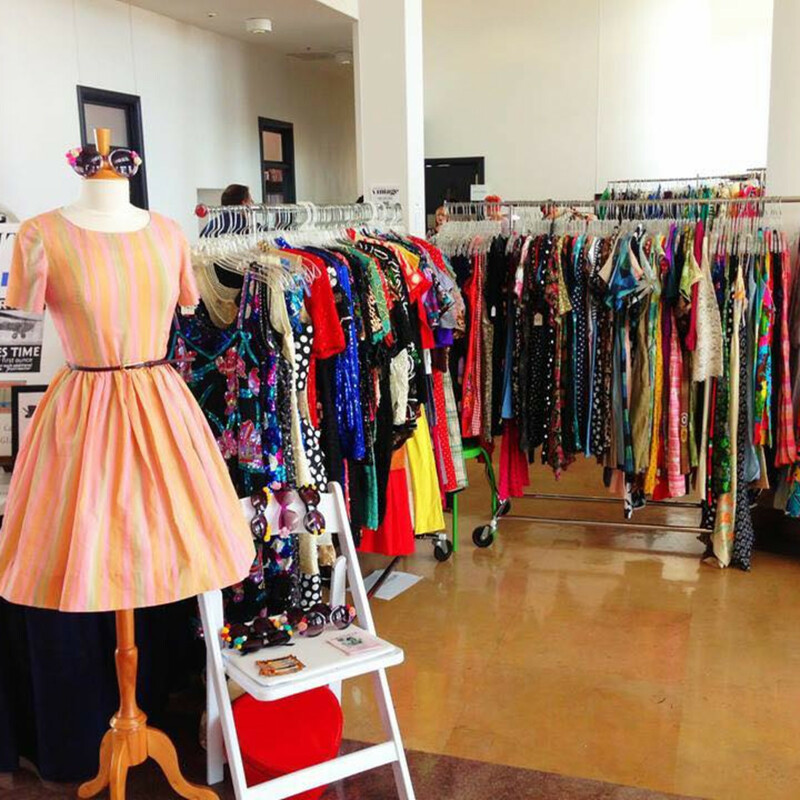 Luzmaria Perez spearheads the business, which started out doing local monthly pop-ups, such as Pop Shop Houston, Houston Vintage and the Flea Market on Discovery Green every third Saturday of the month but has now expanded to a "by appointment only" vintage studio off Telephone Road. For the past four years in business, Perez mainly specialized in dresses, but has broadened her inventory to include all clothing styles and a badass shoe selection. “I wanted to have a place where no matter what sizes or shape you are you're always going to find something to fit and flatter your frame. Finding your perfect dress and possibly your favorite one has always been my goal,” Perez explains. Email vidaantigua@yahoo.com for more information and to book your holiday shopping appointment. 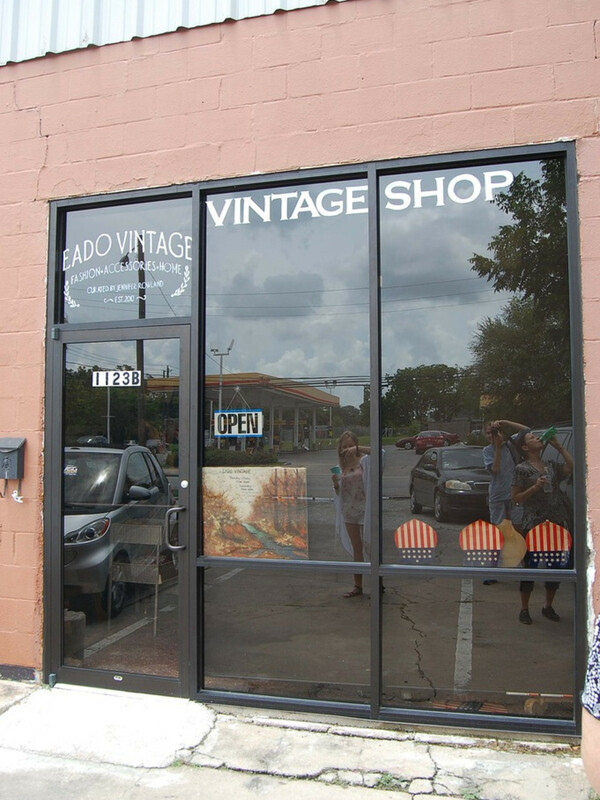 Houston's burgeoning Eado neighborhood recently got a new addition — EaDo Vintage. 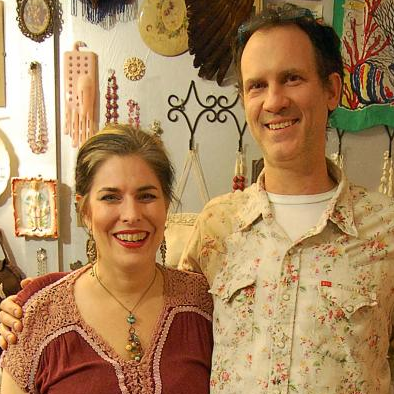 The intimate shop is owned by Jennifer Rowland, who expanded her Etsy business into a brick-and-mortar shop on the corner of Polk and Dumble streets. 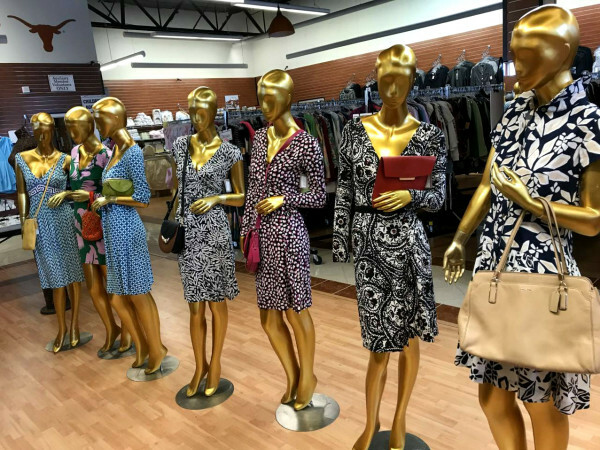 Racks feature colorful prints and designer pieces (such as Oscar de la Renta and Zandra Rhodes) but aren't limited to some mens and children's wear. You'll see various items ranging from the '40s through the '80s, with some earlier pieces mixed in as well. She also carries some fascinating and fun home décor furnishings, way cool retro fabrics and accents. 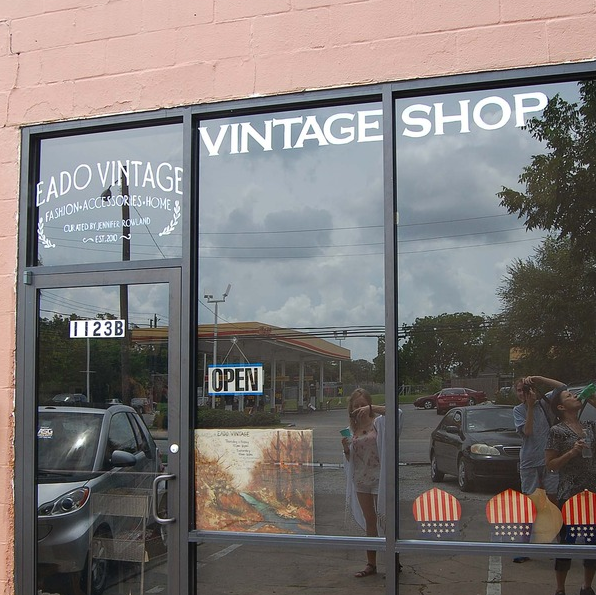 EaDo Vintage, 1123B Dumble St. (832)277- 6570. 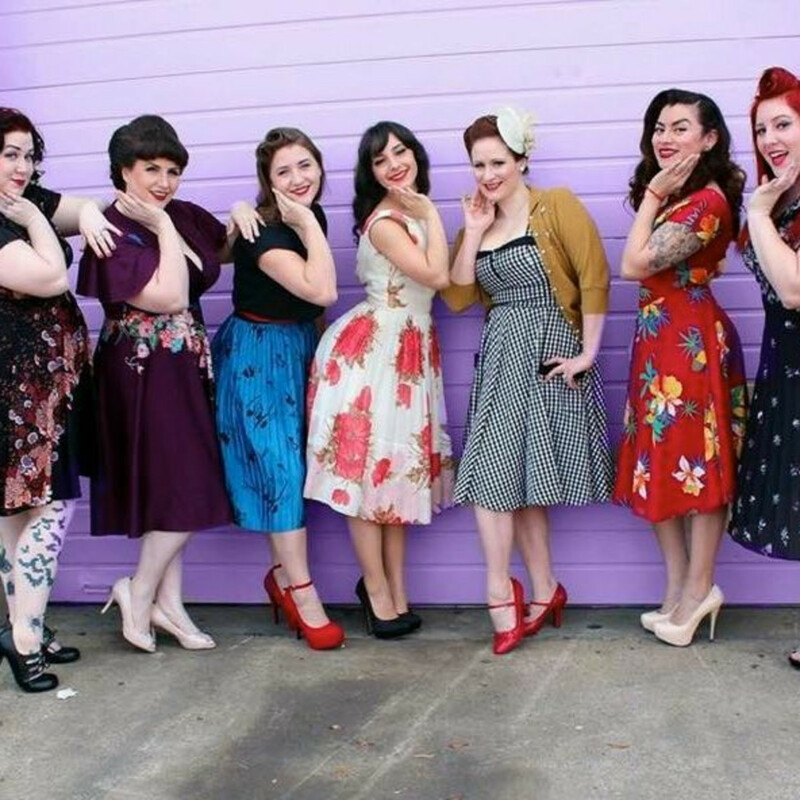 Houston's own “vintage it girl” Dawn Bell has always had a passion for vintage and styling for as long as she can remember. She credits her mother for being her main inspiration. “She was so glamorous… We didn’t have a lot of money, but she had a way of putting together clothes and finding things that no body else was wearing at the time and really making it into her own thing,” Bell recalls. One of nine kids, Bell was used to getting hand-me-downs. She also enjoyed when her mother took her to "junk shops" as they were called back then. By spending a lot of quality mother-daughter time at the shops, Dawn gained her mother's knowledge for finding hidden treasures amid the junk. Since then, she has been collecting vintage and doing various styling work. 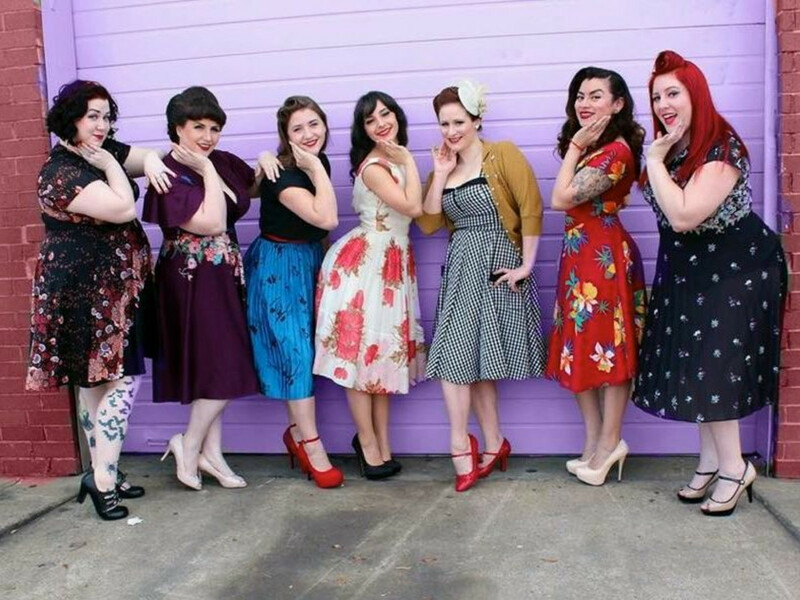 She loved the idea of having a like-minded community of small business owners trying to make it, getting together to support each other, so she conceived Houston Vintage in 2009. It is held each year at the Art Deco-style 1940 Air Terminal Museum. She launched Fashion Camp in 2011 to help kids understand the fashion industry as a business, while also doing a lot of hands-on activities and fun experiences. 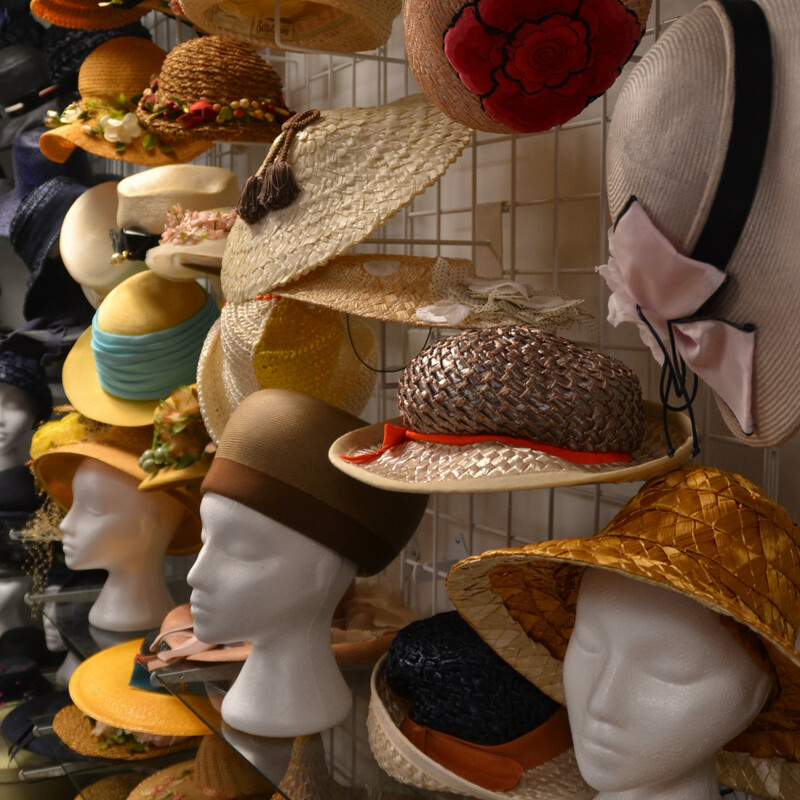 Bell keeps a vast vintage collection tucked away in a warehouse in The Heights. You can find unique vintage apparel, pieces that have been deconstructed and shelves full of accessories by appointment only. 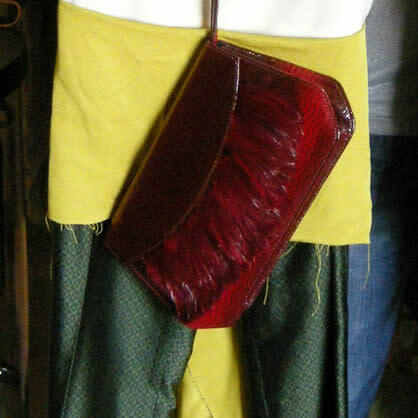 Contact Bell at coronationvintageclothing@yahoo.com for more information and to book an appointment. A member of Houston Fashion Bloggers and creator of the LAFashionsnob.com blog, Heather Petrey loves photography, traversing America's backroads (especially Route 66), fashion, everything vintage and writing at the local Starbucks — or local coffee shop — whenever possible.